How will President Barack Obama's nominee to the U.S. Supreme Court treat issues of foreign, international, comparative, or transnational law? As with many other areas respecting the judicial potential of Elena Kagan (left) (prior posts), this one is tabula rasa. Kagan, who seems likely to succeed in her bid to replace retiring Justice John Paul Stevens (at right in bottom photo), has among the sparsest written record of public writings of any nominee in decades. 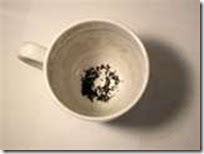 Consideration of the question of Kagan and intlaw thus requires resort to reading tea leaves. The conclusion that it would offend civilized standards of decency to execute a person who was less than 16 years old at the time of his or her offense is consistent wi th the views that have been expressed by respected professional organizations, by other nations that share our Anglo American heritage, and by the leading members of the Western European community. 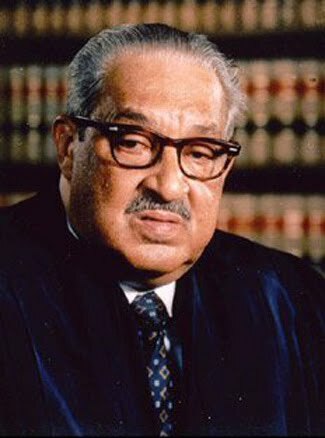 Thus, the American Bar Association and the American Law Institute have formally expressed their opposition to the death penalty for juveniles. Although the death penalty has not been entirely abolished in the United Kingdom or New Zealand (it has been abolished in Australia, except in the State of New South Wales, where it is available for treason and piracy), in neither of those countries may a juvenile be executed. The death penalty has been abolished in West Germany, France, Portugal, The Netherlands, and all of the Scandinavian countries, and is available only for exceptional crimes such as treason in Canada, Italy, Spain, and Switzerland. Juvenile executions are also prohibited in the Soviet Union. As I've written here, that passage, written by Justice Stevens, set the stage for the debate over consultation of foreign context, one that continues to this day. It's impossible to find out from my Pacific Coast perch what, if any, role Kagan, 1 of 3 TM clerks that year, played in Justice Marshall's decision to join Stevens' opinion. Kagan appears never herself to have written about the advisability vel non of consultation -- a practice that, as posted, then-Judge Sonia Sotomayor (far right) was constrained to rebuke in her quest last year to become a Justice. But Kagan surely knows of the debate. 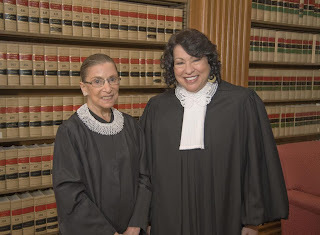 Indeed, though she offered no thoughts of her own on the matter, Kagan invited Justice Ruth Bader Ginsburg (near right) to rise to the defense of the practice during an interview published as "Remarks Commemorating Celebration 55: The Women's Leadership Summit," 32 Harvard Journal of Law & Gender 233, 237 (2009). They were a way of showing us foreign experiences and worlds, and in doing so, of reorienting our perspectives on even what had seemed most familiar. And they served another function as well: they reminded us, as Justice Marshall thought all lawyers (and certainly all judges) should be reminded, that behind law there are stories -- stories of people's lives as shaped by law, stories of people's lives as might be changed by law. ► No reference to foreign, comparative, transnational, or international law/context appears in any of the half-dozen or so articles that Kagan authored or coauthored while a professor at Chicago and Harvard. ► Among the most-remarked features of Kagan's tenure as Harvard Law's 1st woman dean was her recruitment of numerous conservatives, among them Jack L. Goldsmith, a Bush Administration lawyer post-9/11 and author of an Office of Legal Counsel memorandum ably criticized by José E. Alvarez in "Torturing the Law" and Leila Nadya Sadat in "Ghost Prisoners and Black Sites: Extraordinary Rendition Under International Law," at pages 175 and 309, respectively, of 37 Case Western Reserve Journal of International Law (2006). The courses in comparative law are opening up new questions and possibilities, showing choices made by different societies and challenges that arise from globalization, while also helping every student to locate American law in the larger map of laws, politics, and histories across the world. ► Kagan's 14-month stint as the United States' top Supreme Court lawyer has been distinguished mostly by the fact that she's the 1st woman in the post. (It's her 2d turn in the Executive Branch; not much seems to have been written yet about her couple years in the Clinton White House.) Kagan's 1st oral argument before the Court came last September in Citizens United v. FEC; she failed to persuade a majority to sustain a federal statute regulating corporate spending on elections. ► In Samantar v. Yousuf (a pending case on which we've posted here, here, and here), Kagan, along with State Department Legal Adviser Harold Hongju Koh, signed an amicus brief on behalf of Alien Tort Statute plaintiffs, who're seeking affirmance of a lower-court ruling denying sovereign immunity to a former Somali official. ► During her confirmation hearings and since, Kagan's SG office has called for robust executive power in the campaign against terrorism (and see here). That fact should not surprise anyone who remembers the Clinton DOJ. In short, a mixed bag. Perhaps the best answer to the question posed at the top is one implicit in a speech by Justice Stevens, whose own approach to transnational matters evolved, as I've written here. 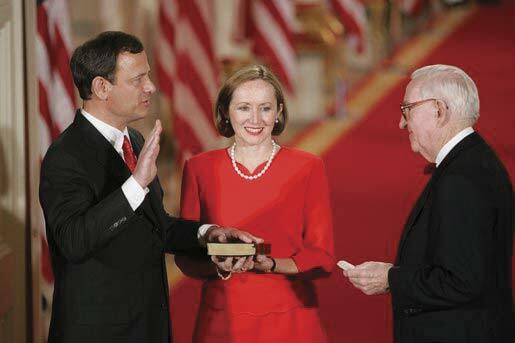 Stevens' speech, published at 74 Fordham Law Review 1561 (2006), was delivered in 2005, almost immediately after he'd administered the oath of office to Chief Justice John G. Roberts, Jr. (above). What will Justice Kagan be open to learning on the job? Other info at Legal History Blog's "Kagan Roundup," http://legalhistoryblog.blogspot.com/2010/05/kagan-round-up.html.